A Gold Award went to the 3500 block of R (odd). 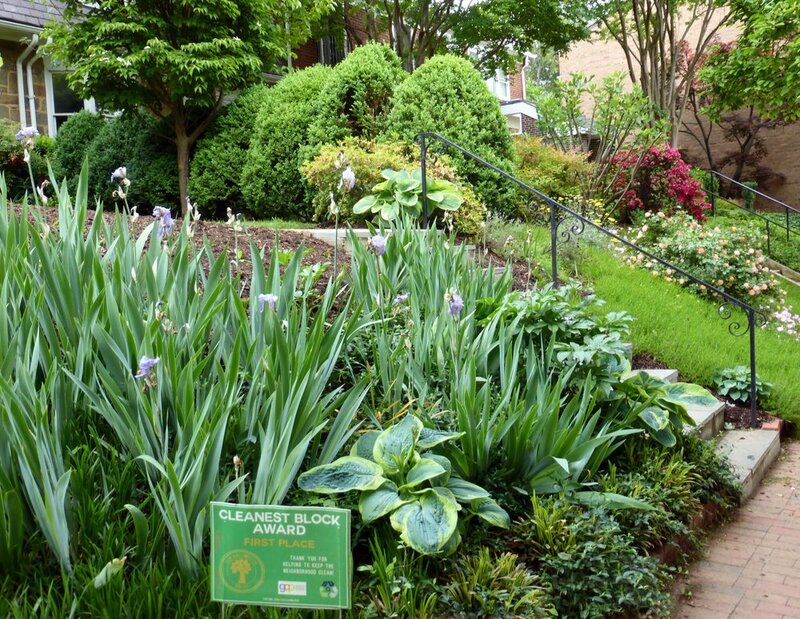 In an effort to keep our neighborhoods clean and healthy, the Georgetown Community Partnership's Environment & Landlord Initiatives and Communications & Engagement working groups launched the 2016-2017 Clean Block Competition for the West Georgetown and Burleith neighborhoods. The fall 2016 results were announced earlier this year. Congratulations to the spring 2017 Clean Block Competition winners, which a panel of GCP leaders judged to be the cleanest in the neighborhood in February and March. Gold and silver medal markers have been displayed in the blocks’ treeboxes for two weeks and on doorhangers. All residents of the winning blocks were invited to participate in a raffle to win a pair of tickets to a Washington Nationals game, courtesy of the Mayor's office. Winners also earned discounts at select local businesses including the Mad Fox Taproom in Glover Park. Thanks to all for doing your part to keep our neighborhoods clean! The 3500 block of Whitehaven (even) earned a Silver Award. About the Georgetown Community Partnership. Established in 2012, the Georgetown Community Partnership (GCP) is a forum created to facilitate discussion, information sharing, and consensus-based decision making to support a high quality of life in our community and Georgetown University's long term planning. Through the GCP, the university is engaging community and city leaders in master planning and neighborhood quality of life initiatives. For more information about the Georgetown Community Partnership, visit its website.